Be part of a group effort built on collaboration and shared best practices. 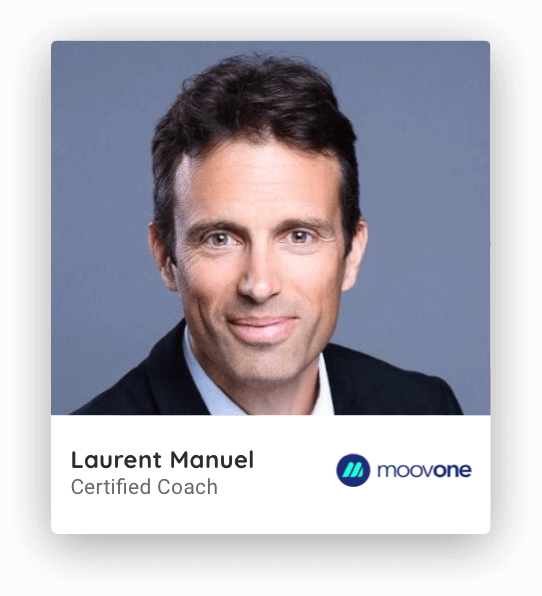 MoovOne provides coaching services to thousands of managers and talents at major corporations. We help with individual issues (new hires, mobility, etc.) as well as organizational ones (talent, transformation, etc.). Saint-Gobain trusted MoovOne with developing their managers’ leadership skills. MoovOne supports Lacoste with the development of collective intelligence approaches. Our aim is to help you enjoy the best possible digital coaching experience without administrative or commercial constraints. Choose the number of participants you want to coach and earn extra income. Leverage digital technology to use your time wisely and make your work more flexible. You are in control of your schedule and you are free to manage your coaching programs from wherever you are. Our team is global: with 150 coaches on 5 continents, we support our clients in 24 languages! “MoovOne is a unique organization! How many hours of coaching have you provided? Less than 100100-250250-500More than 500 How many years of professional experience in a company you have? <5 years5-10 years10-20 years>20 years What is your last job held in a company?